I looked at and thought about a chimney starter long before I actually broke down and bought one. After I got the chimney starter, I could have kicked myself. It was so easy to use. It only costs a little bit, and the cost of the chimney starter is quickly recovered with the money saved on quick start charcoal or lighter fluid (which does give grilled food an off taste). The main reason I held off was that I wasn't 100% sure how a chimney starter worked or if it even worked well. Turned out, it was super simple to use a chimney starter, and it has perfect coals ready in less than 10 minutes. 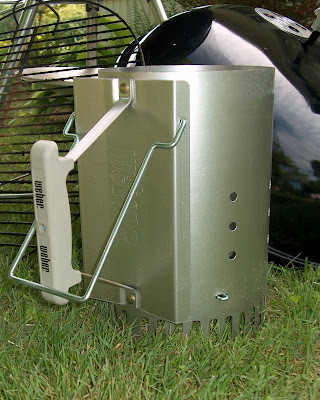 I put up photo steps, directions for using a chimney starter and details at Yes You Can Grill. 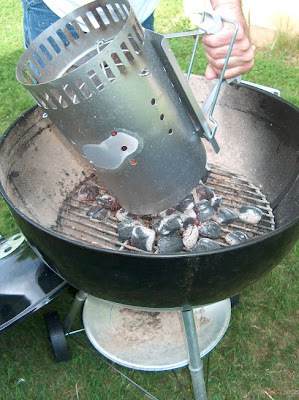 So, if you're not sure, just check out that charcoal chimney starter guide. You can see below the nice even and red hot charcoal from our Weber chimney starter. This has made it much easier to grill out. No more issues with getting the fire going. Thumbs up to that!